Whew! I forgot what a whirlwind Las Vegas can be! I recently returned for a fun-in-the-sun gambling trip with my sister, Kathy. Filled with bright flashing lights, bumper-to-bumper vehicle traffic, shows, free attractions, crowds of people, great restaurants, street hawkers and bustling 24/7 casinos, Las Vegas still is a big ‘kids’ (a.k.a., over-21) playground! It was interesting to have been gone for six years. 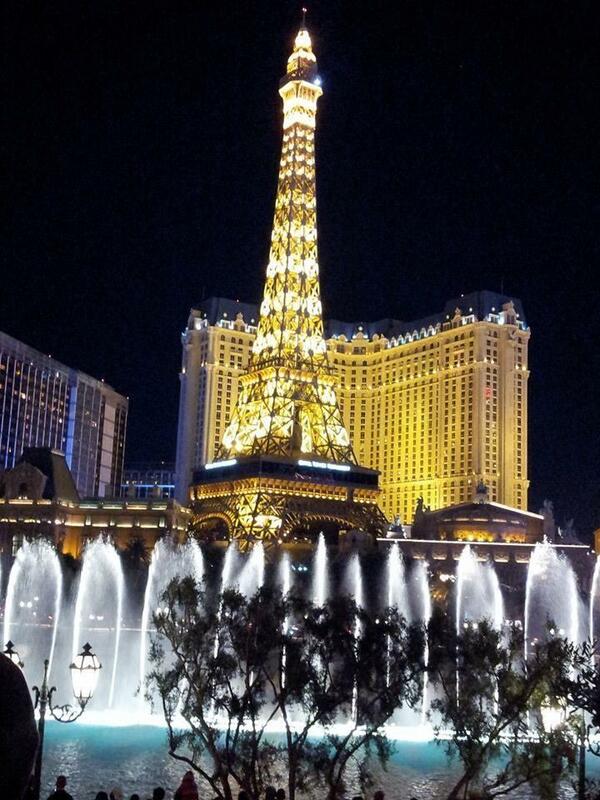 When I last visited, my favorite casinos were Paris, New York, New York and the Wynn. Now, those three have been bumped down my list and have been replaced with The Cosmopolitan, Bellagio and the Palazzo, as my top three favorites. The city is also more pedestrian friendly – well sort of. At least, I would say, it’s safer. In the busiest parts of the strip, barriers separate pedestrians from cars. Turn-ins to several casinos still require yielding to masses crossing side streets and driveways, but for the most part the outdoor escalators and pedestrian bridges keep people from playing dodge ‘em with Las Vegas Boulevard traffic. That’s a very good thing. The downside is, be ready to walk – really walk – long distances to visit multiple casinos. Although they look close, the eye is deceiving and the path is usually not direct. Once at your destination, you’ll often go through the shopping areas before you get to the casinos or hotels themselves as well. The slots seem tighter than in years past. Other than some small wins at Bellagio on our first day, we generally fed the slots our ‘spending money,’ with few givebacks. Before, it seemed you could really play a slot – with a back and forth of money exchanged – that either diminished slowly or paid off a $40 to $100 win. Now it seems hard to sit at a slot for more than 15 minutes, because the ‘gaming’ aspects are fewer, unless you’re playing a penny machine with a 50-cent minimum bet and ‘movie-style’ video bonuses. But then you have to be willing to ‘play’ with $50 or so, and not worry about losing it to enjoy the fun. One of my favorite aspects of slots gaming in Las Vegas, however, is that you can still find ‘favorite’ games that have all but disappeared from regional casinos, and there’s much more than high-minimum penny reels that provide ‘free spins’ as their bonus. Las Vegas seems to reinvent itself on a regular basis. Cynics can visit and say, ‘same stuff, different box,’ but how each casino ‘wraps’ itself is part of the delight. At The Cosmopolitan, blingy crystals and trendy bold designs offer a combination of tasteful elegance, artsy eye appeal and comfy ambiance. We loved this place. We had fun with the gaming and our Identity Member desk host, who enrolled us in the player’s club, turned us on to some ‘insider’ features (perhaps part of the marketing strategy!) that made our visit special. He told us about the hole-in-the-wall pizza slice takeout place, next to the sushi restaurant on the third floor. Unadvertised, you’d never know it was there, but it serves delicious New York style pizza and cheesecake by the slice – good sized slice! He also told us about the signature drinks in the strikingly beautiful, three -story Chandelier bar, including the Verbena, which includes an elder bush flower – which some call a Szechuan flower – that delivers a ‘pop rocks’ effect when you eat it. Served like a martini olive in the drink, Kathy tried it and said the flower produces a slight numbing effect and taste bud wake-up as it washes your mouth with a lingering salt rush. She also said the drink eased the joint stiffness she was feeling, like a glucosamine drink – hmmm, I’d have to think about that one! Not being as adventurous, I opted for a milder side gin drink, called the cat’s cradle, or something like that, which combined wonderful tastes, including lavender into a truly a savory drink. Not cheap, drinks are in the $14 range, but strange as this may sound, they are so worth it! Every bar has its own drink menu and own signature drinks, so the elder flower one is on the second floor only of The Chandelier, for example, yet not on the drink menu – you have to ask for it. The other two floors have other specialties. We loved The Cosmopolitan so much, we made a return visit during our brief trip. We wanted more $5 art from the Art-o-Mat machines – a fabulous business concept that promotes original, cigarette-pack sized art or boxed art dispensed from refurbished vintage cigarette machines. And we wanted to try the Wicked Spoon buffet. The buffet offers a well-presented and well-prepared array of entrees, sides, salads and desserts, plus delightfully strong coffee. Some Chinese entrees are portioned into traditional cardboard Chinese takeout boxes. Servings of creamed spinach and shepherd’s pie are in their own, chef’s-grade metal pots. Fried chicken wings are served in mini-fryer baskets and boiled peanuts are in small paper cones. 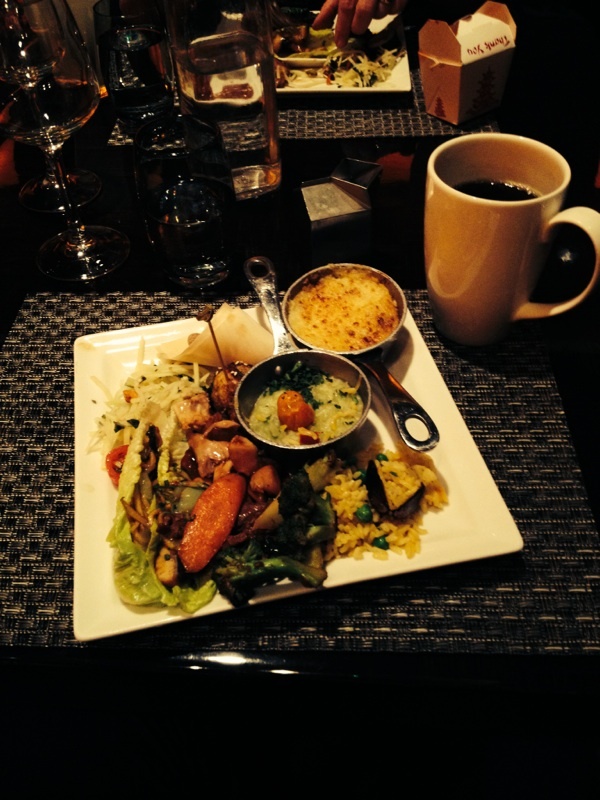 Not only is the presentation fun and adventurous, the Wicked Spoon is smart to deliver these items in portions. You can still grab four shepherd’s pies if you want, but will you? Hooray, for portioned items!! The desserts were also yummy, and portioned – individual chocolate bundt cakes or molten chocolate cakes in their own metal pots, tart size lemon meringue AND a dozen flavors of gelato, dished out by a server. Priced at $38 per adult, dinner at the Wicked Spoon is a treat. Add $10 for unlimited red or white wine, or if you just want a plated meal, for $18, you can create your own carryout! Milo’s in Boulder City, Nev.
During our five-day Vegas adventure, we rented a car and valet parked at most casinos – smart!! This saved us miles of steps. 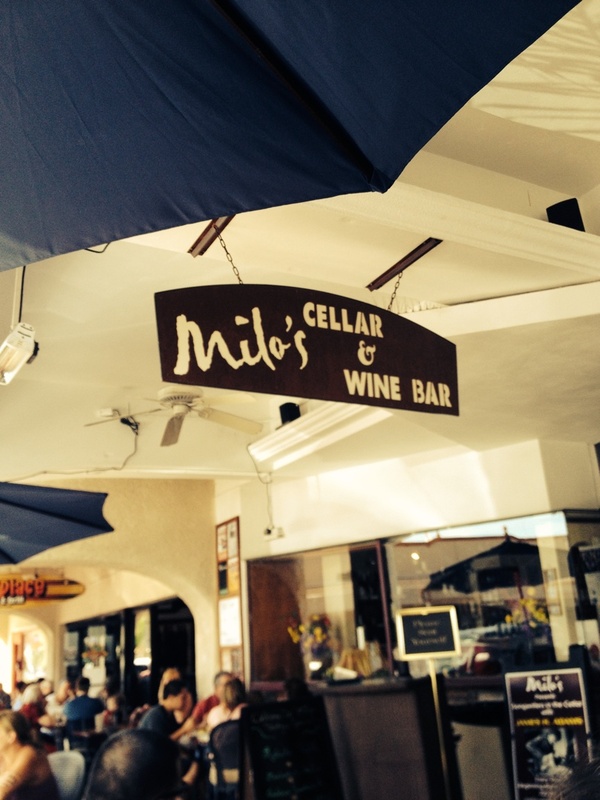 We also were able to take in some of the area, and visited Hoover Dam, enjoying a nice leisurely outdoor lunch at Milo’s Cellar and Wine Bar in Boulder City. 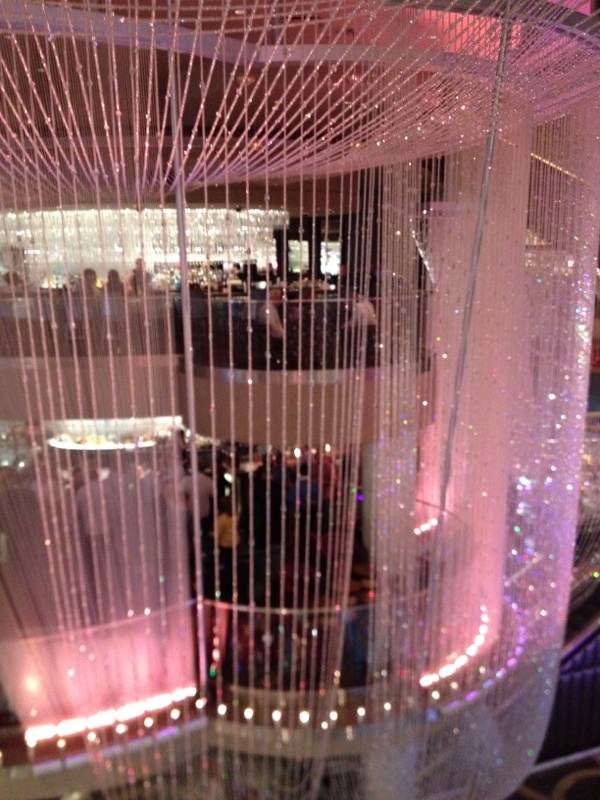 In addition to our fav ‘Cosmo’ casino, stops new to us were at Aria, The Quad and Palazzo. Of the three, the Palazzo had the most appeal. Feminine in its décor, it has a bit of softness about it and we thoroughly enjoyed the variety of slots and games. We also paid a visit to Fremont Street, gambling at the legendary Binion’s and stopping at The D, which is promoted on numerous billboards around Detroit. Although unimpressed with the payouts at either, we liked The D’s Detroit touches – Andiamo’s, American Coney Island and the D Grill’s Hudson’s Maurice Salad, yes, as in old-school ‘J.L. Hudson.’ The second floor of The D also features vintage Las Vegas slots and games that take and payout in coins. So those wishing to get their fingers dirty and hear the clink, clink, clink of coins on metal will want to make sure to put The D on their list. After our tour of 14 casinos, Kathy and I compiled separate lists of favorites, which follow. 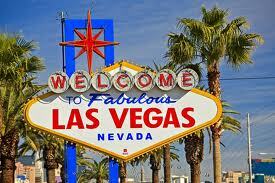 I love Las Vegas for what it is and would love to visit once a year. In five days, I had my fill, but the sense of discovery is what will keep bringing me back.